As the devastating effects of football-related concussions become better understood, many are worried that one of America's great sports is in danger. Non-football-fans likely don't care, as it's easy to dismiss football players as knuckleheads; but to the American communities and youths who are bound together and individually shaped by football—read H.G. Bissinger's Friday Night Lights, or see the stunning, 96%-on-Rotten-Tomatoes documentary Undefeated—it's a big deal. Yet American sporting goods companies have not been able to create a helmet that can adequately protect the braincase of a 300-pound man being crashed into by other 300-pound men. 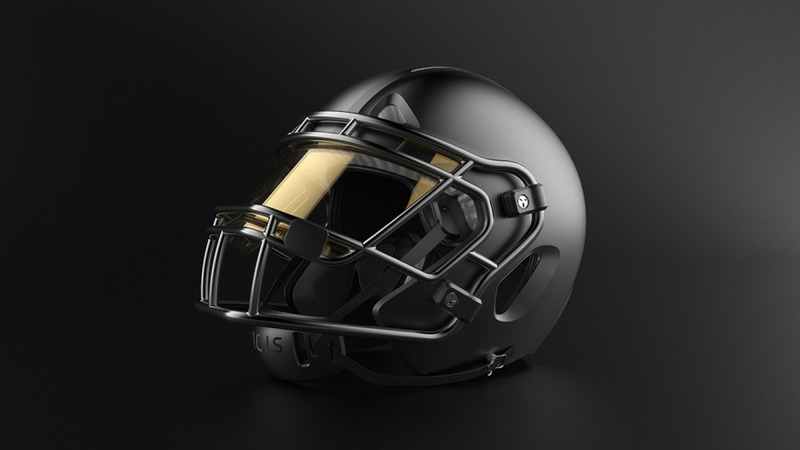 The problem may be intractable, but now a Seattle-based startup called Vicis is attempting to tackle (ahem) the issue by integrating better design and technology into their Zero1 helmet. The company reckons that by pulling together a superteam of doctors, designers, engineers and manufacturing experts, they can produce a cutting-edge—and extremely expensive—helmet that better protects the brain. For the design part, Vicis enlisted Seattle-based consultancy Artefact Group, who "understood the critically important need to merge safety, form and function into the design of our new helmet," says Vicis CEO Dave Marver. "When we review our helmet designs with current and former NFL and NCAA players, they are consistently impressed by the look and the feel of the ZERO1." The LODE SHELL – Absorbs impact load by locally deforming, like a car bumper. Automotive safety engineers have used local deformation to protect people for decades. We're the first to bring this proven innovation to football helmets. The CORE LAYER – Employs a highly-engineered columnar structure that moves omni-directionally to reduce linear and rotational forces. The columnar geometry used in our CORE Layer is based on principles first described by Leonhard Euler, a Swiss physicist in the 1700s. Even if Vicis has gotten it right—thus far the testing has been limited to laboratories and simulations, with independently-executed field tests forthcoming—the Zero1 will initially be out of reach for most, as the $1,500 asking price is well beyond what your average high school can afford. (A typical youth helmet starts under $100.) But the price will be a drop in the bucket for the National Football League, for whom each team is worth roughly $2 billion, and Division One colleges will also likely be able to muster up the scratch. And "eventually," Bloomberg reports, "[Vicis] hopes to develop lower-priced models for high school and youth ball." Sorry to hit this point again, but if you are not a football fan and cannot understand the culture, I highly recommend you watch Undefeated. It will change your perspective by introducing you to the little-seen, positive effect on character in young American males.